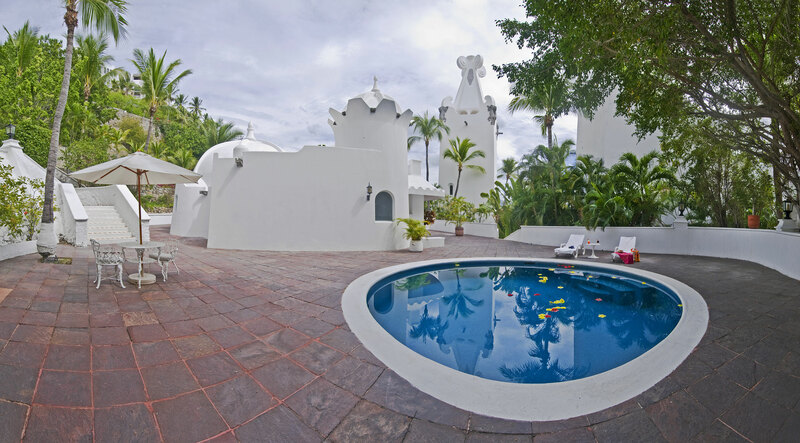 Let yourself be enchanted by the magic of Las Hadas by Brisas. 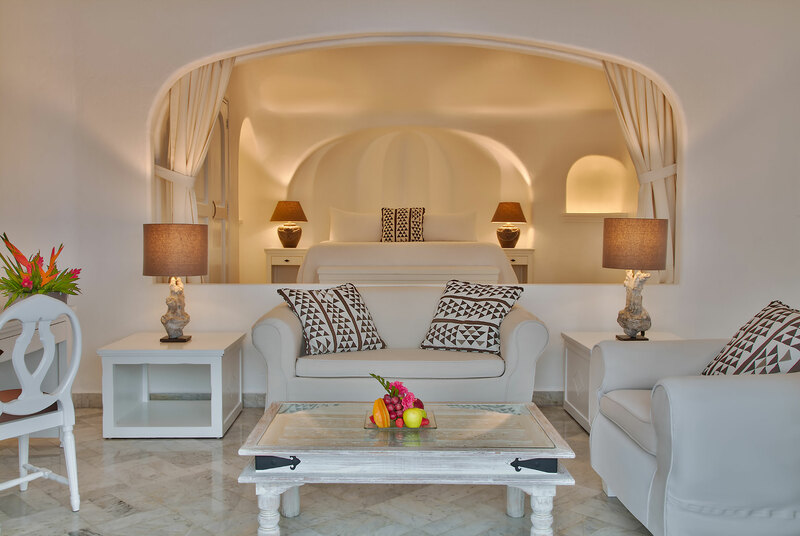 With white marble floors, luxurious amenities, and a private terrace, each of our suites will leave you captivated. 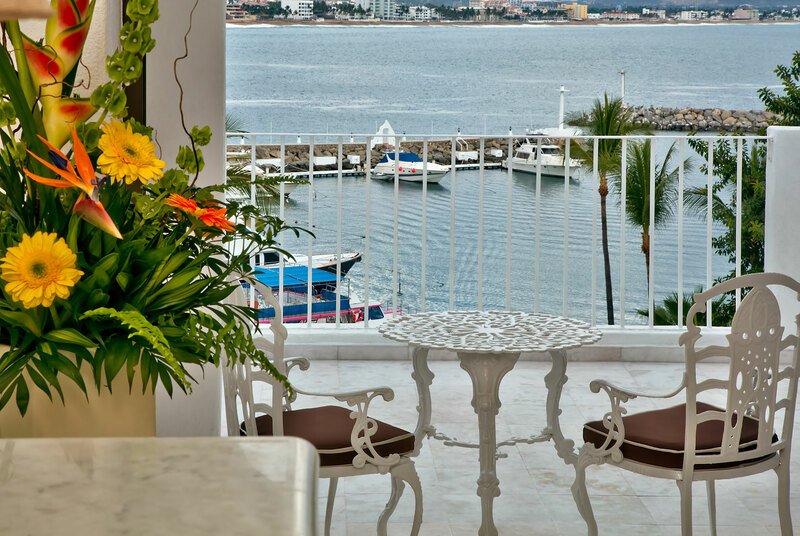 From the quiet of your private balcony, enjoy beautiful views of the Pacific Ocean and Santiago Bay. 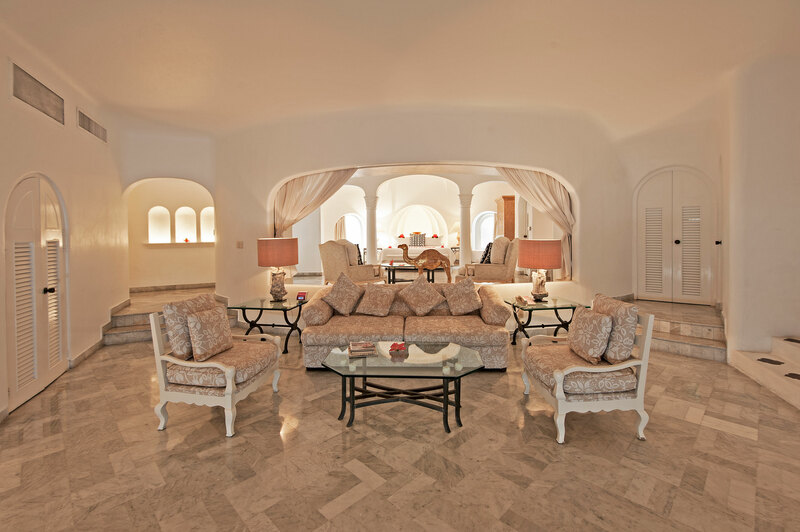 Feel at peace in your room with gorgeous marble floors. Each room has 2 double beds. Maximum Capacity: 2 adults and 2 children under 12 years old or 3 adults without children. Terrace, private bathroom, cable tv, air conditioning, minibar, direct-dial telephone, hair dryer, iron and ironing board, coffeemaker, safety deposit box. 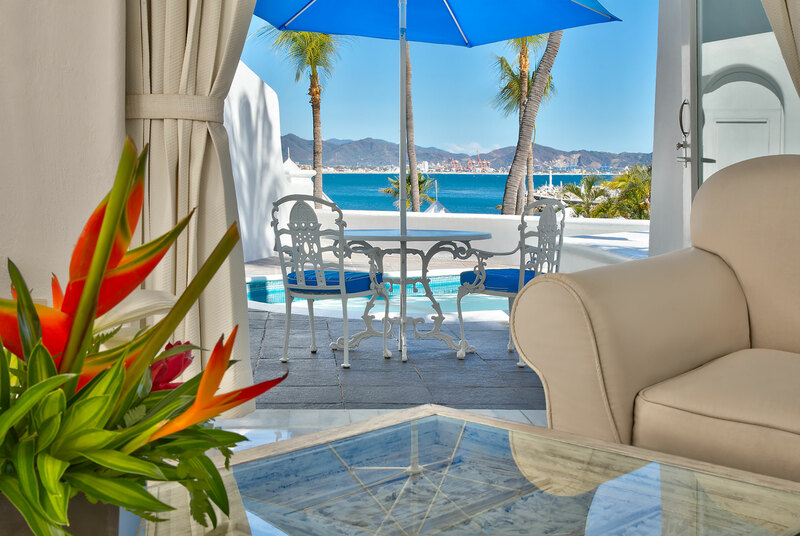 Escape to your own private oasis in the Brisas Beach Club. With a king size bed, these accommodations are best for two adults. 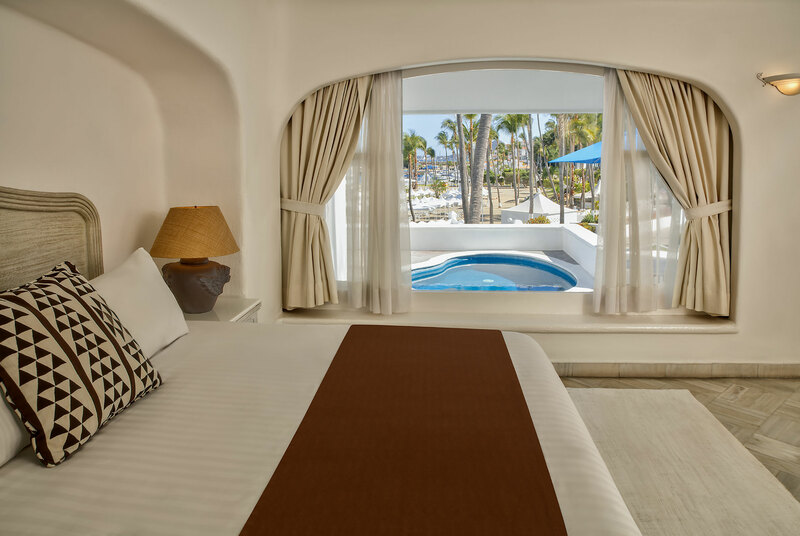 Our Brisas Beach Club rooms also come with access to a private adults-only pool and exclusive lounge where you can enjoy an evening cocktail hour. These are meant for 2 adults. No minors are allowed in this category. Terrace, private bathroom, La Source bathroom amenities, cable tv, air conditioning, minibar, hair dryer, iron and ironing board, direct-dial telephone, concierge service, bathrobe and slippers, coffeemaker, safety deposit box. 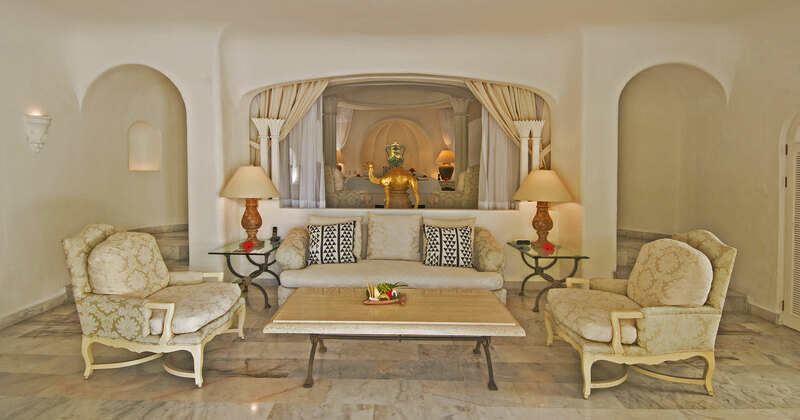 Similar to our Brisas Beach Club room but with the added luxury of a private pool. With a king size bed, these accommodations are best for two adults. 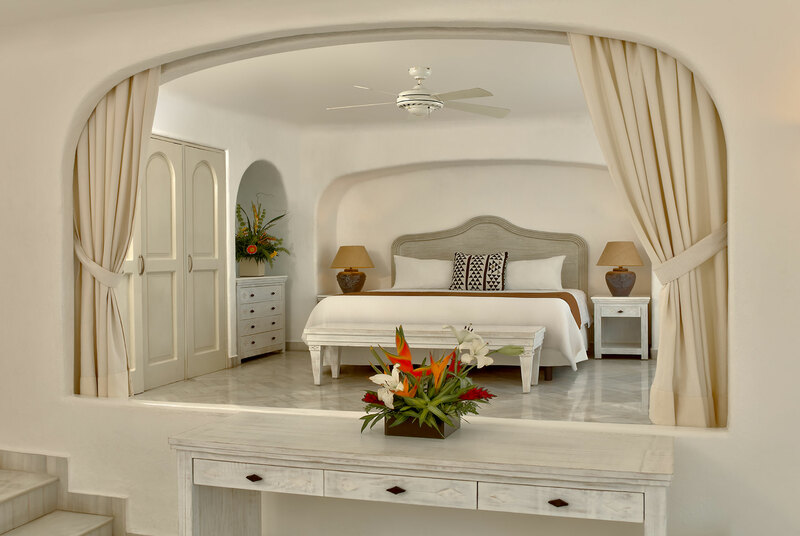 Our Brisas Beach Club rooms also come with access to a private adults-only pool and an Exclusive Lounge where you can enjoy an evening cocktail hour. These are meant for 2 adults. No minors are allowed in this category. 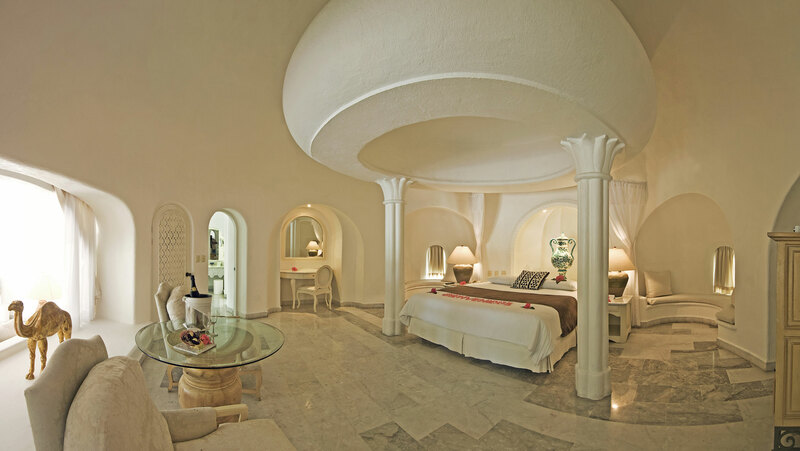 Find the perfect balance of space and luxury in our Fantasy Suites. Each comes with a king size bed, top-of-the-line amenities, and a living room. Guests of our suites enjoy access to an exclusive adults-only pool with an evening cocktail hour. These are meant for 2 adults. 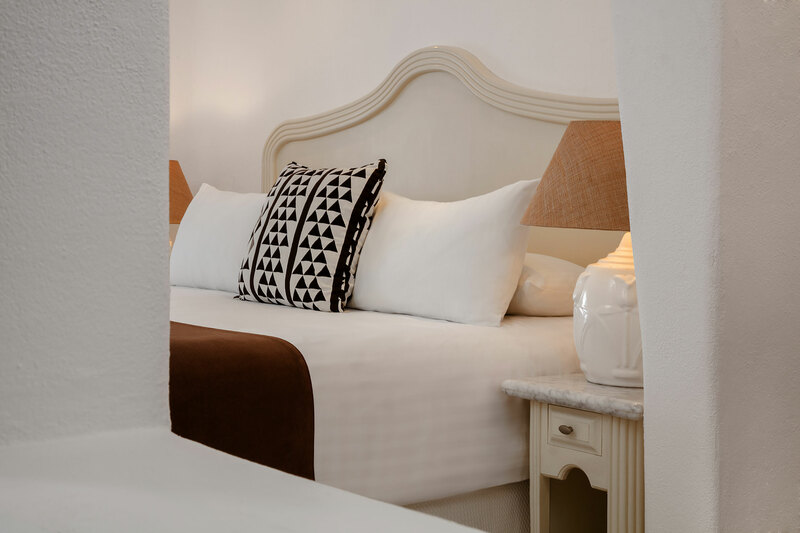 Similar to our Fantasy Suites but with the added luxury of a private pool, these accommodations are perfect for those looking for a secluded escape. 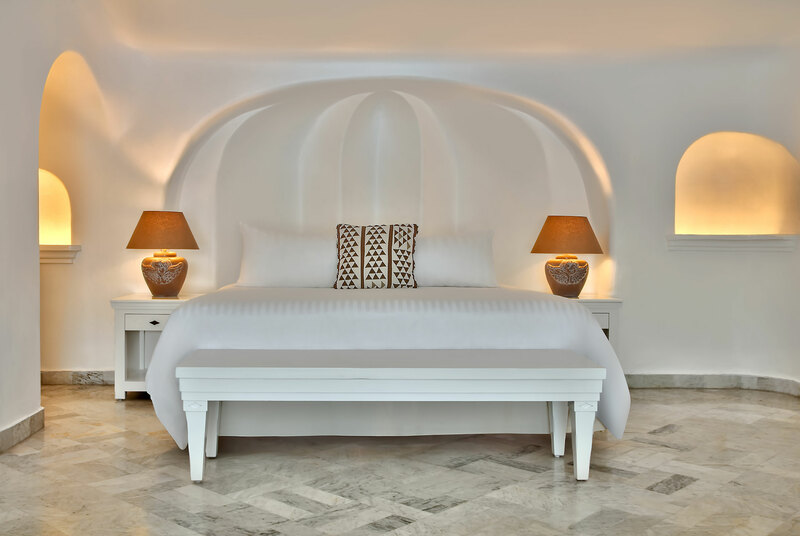 Guests here will enjoy a king size bed, top-of-the-line amenities and breathtaking views. Guests of our suites also have access to an exclusive pool with an evening cocktail hour. This suite is for 2 adults. 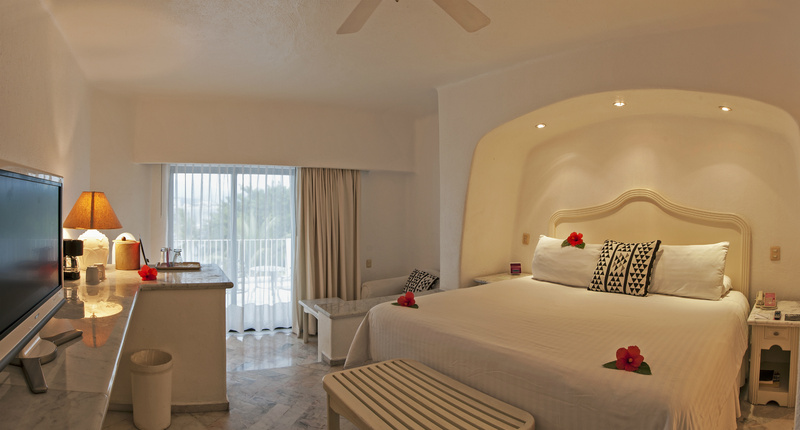 Experience the ultimate luxury of Las Hadas in this penthouse suite, the highest room in our property. Featuring two bedrooms (one with a king size bed and the other with 2 twin beds), a living room, and its own wet bar, the Minaret Suite is one-of-a-kind. 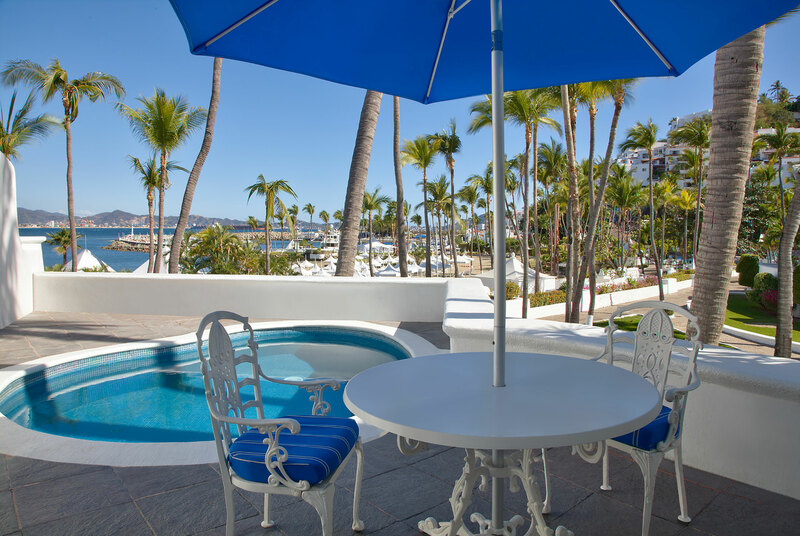 From the large sun terrace, guests can enjoy beautiful views of Santiago Bay. Guests also have access to an exclusive pool with an evening cocktail hour. No minors are allowed. 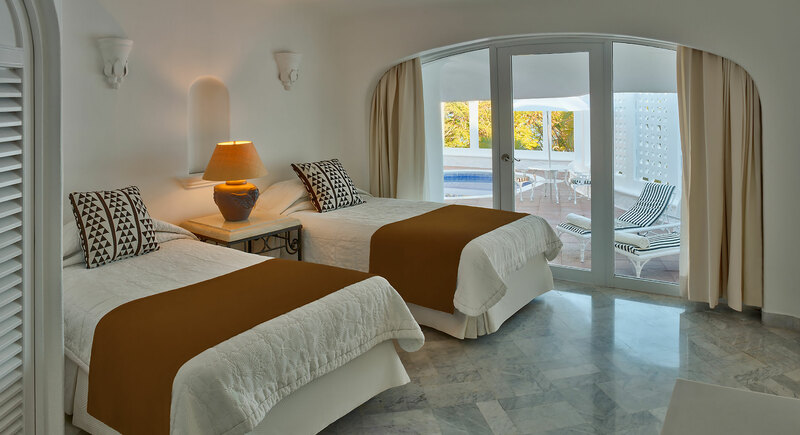 Terrace, plunge pool, private bathroom, La Source bathroom amenities, cable tv, air conditioning, minibar, hair dryer, iron and ironing board, direct-dial telephone, concierge service, bathrobe and slippers, coffeemaker, safety deposit box. 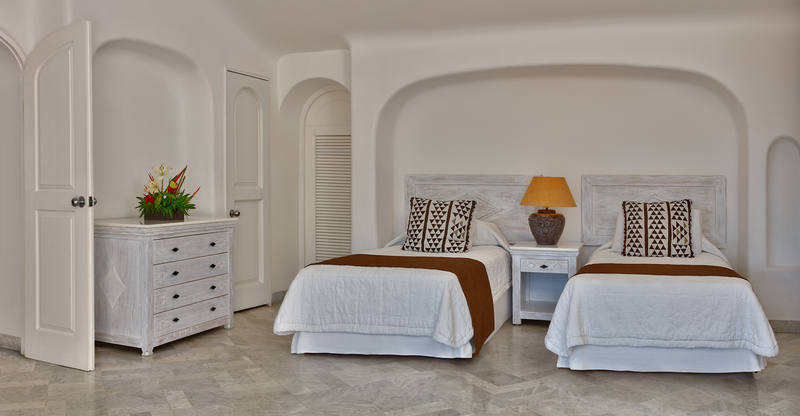 Ideal for those traveling with children, this two-bedroom suite has one room with a king size bed and another with 2 twin beds. Featuring a living room and a large terrace, this suite has enough space for the whole family. Guests also have access to an exclusive pool with an evening cocktail hour. 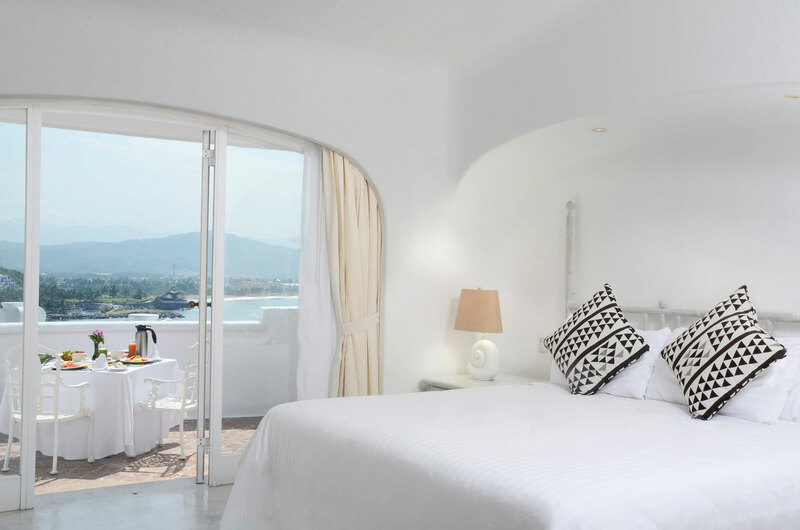 Famous for being Bo Derek’s suite, this large two-bedroom accommodation has one room with a king size bed and another with 2 twin beds. The space also includes a living room, and 2 bathrooms. On the terrace, there is a private plunge pool. Guests also have access to an exclusive pool with an evening cocktail hour. 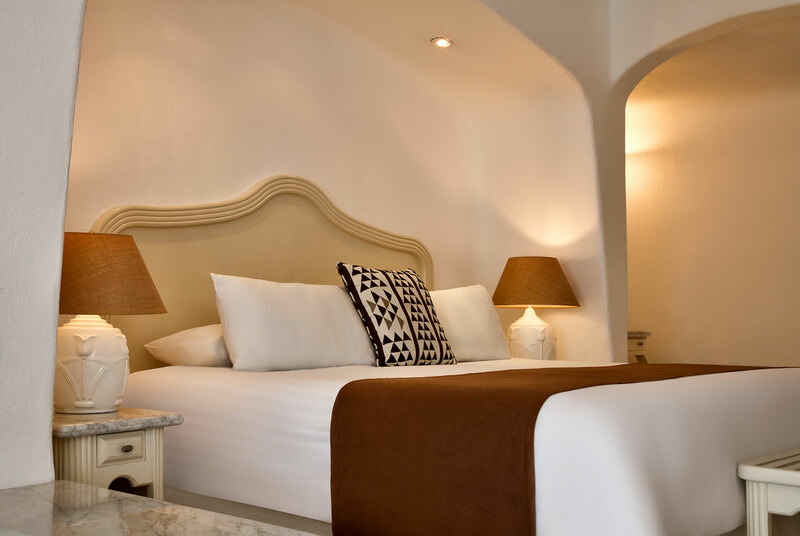 The most private accommodation in our hotel, this suite features a bedroom with a king size bed, a bathroom with a Jacuzzi, and a walk-in closet. There is also a large terrace with a plunge pool and a living room. Guests of our suites can enjoy access to an exclusive only-adults pool with an evening cocktails and canapés hour. 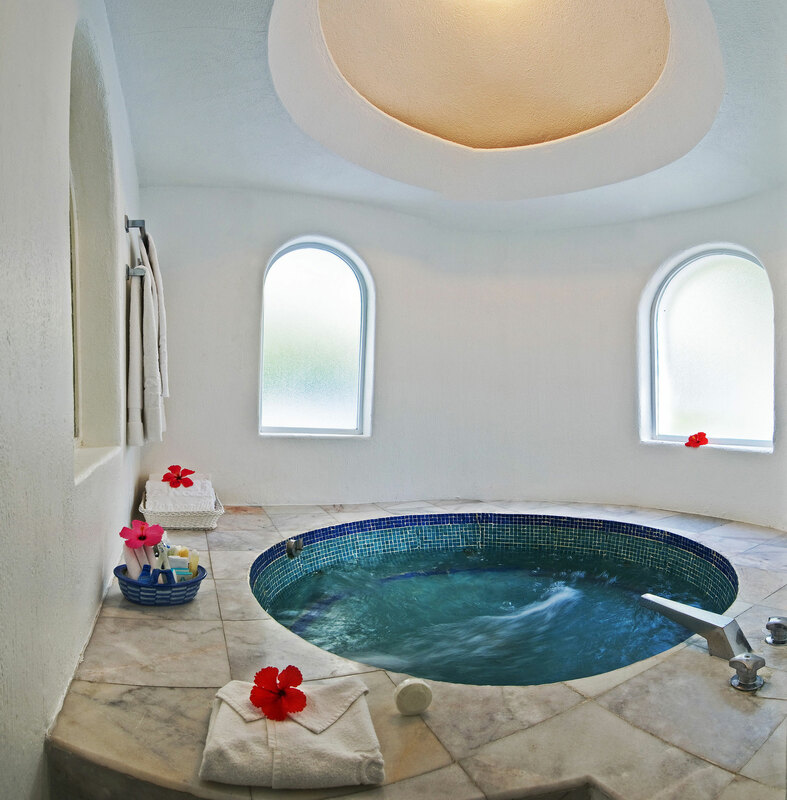 Terrace, plunge pool, private bathroom with Jacuzzi, La Source bathroom amenities, cable tv, air conditioning, minibar, hair dryer, iron and ironing board, direct-dial telephone, concierge service, bathrobe and slippers, coffeemaker, safety deposit box.